As responsible Israeli citizens, we are working together with Palestinians to achieve justice for Palestinians, and a future for all of us. 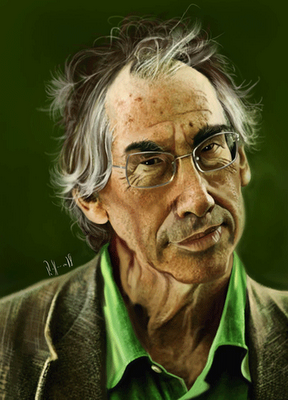 We urge Ian McEwan to take a stand for human rights and justice and turn down the prize. As Israeli citizens who support the boycott, divestment and sanctions call on Israel, we believe that if Ian McEwan accepts the Jerusalem prize next month in Jerusalem (Letters, 26 January), it will make him a collaborator with Israel‘s worst human rights offenders and its “business as usual” policy. The Jerusalem prize is awarded by the Israeli establishment, which is keen on branding Israel in general, and Jerusalem in particular, as beacons of enlightenment and democracy. In reality, Ian McEwan will be playing into the hands of and shaking hands with cynical politicians who are trying to whitewash their systematic human rights violations. Specifically, he will be legitimising the actions of Jerusalem’s racist mayor, Nir Barkat, who pursues and defends the expulsion of Palestinian families from their homes in East Jerusalem, in order for them to be occupied by Jewish settlers. If McEwan “opposes illegal Israeli settlements”, how can he accept the accolades of the people who are responsible for that abomination? Mr McEwan’s hiding behind the acceptance of the prize by others is an example of an unprincipled approach. Furthermore, his attempt to imply that the boycott movement is against cooperation between Israelis and Palestinians is refuted by our joint political activities. As responsible Israeli citizens, we are working together with Palestinians to achieve justice for Palestinians, and a future for all of us. We urge Ian McEwan to take a stand for human rights and justice and turn down the prize. I support two Jewish Peace organizations: Gush Shalom and Jewish Voice for Peace. I attached articles for both on Face Book and got a terrible Email accusing me of being an anti-Semite. I am very glad there are sane Jews who do not support this right wing government. I do not support the slaughter of innocents in the world by the USA military machine. This is all madness. My second cousin was on the boat for Gaza, and finds the conditions in Gaza deplorable. The Jewish voice for peace is THE most important. It is the only one that fellow Jews will listen to.